In today’s culture of Netflix and binge watching, it is very rare that I get the opportunity to watch a television series in the weekly serial manner that it was intended. In fact, in the case of Broadchurch, the first season of ITV’s hit detective drama seemed to completely pass me by and it was not until a week before the much anticipated premiere of season two that I decided to jump on the bandwagon and churn out the original eight episodes to see what all the fuss was about. Having, already been spoiled as to the identity of the mystery killer, I was surprised and impressed that despite knowing exactly where the series was leading, Broadchurch managed to keep me captivated and engaged from beginning to end, a true testament to the quality of the show overall. Cut to January 2015 and I, along with millions of others in the UK, settled myself in for two months of twisty turny goodness that would hopefully live up to the extraordinary precedent of the first season. 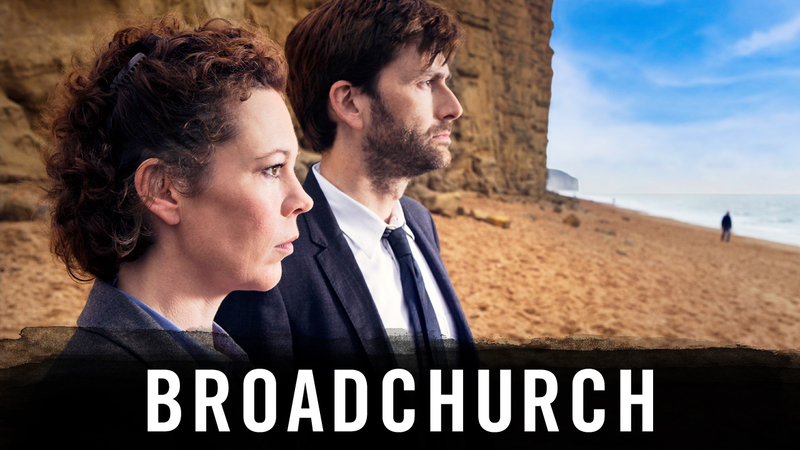 Would Broadchurch be able to maintain its steam? For the most part, it did. Season two of Broadchurch did what the majority of viewers were not expecting by having Joe Miller (Matthew Gravelle) plead not guilty in episode one, a bold move considering the audience and all key characters know for a fact that Miller did indeed kill Danny Latimer. What proceeded in series two was an emotionally draining and revelatory trail, with Miller terrified of an impending prison sentence and the many secrets of the town’s multiple involved residents providing tense and gripping viewing at the dock for the entire length of the trial. For a story whose details the audience were already well versed in from the previous season, the show makers did an excellent job of providing the audience with a completely different type of dramatic trial than we are used to in other courtroom based programmes. The excellent viewing was not in the shocking confessions and ‘gotcha’ moments of an unseen case, but rather in the frustrating but effortlessly interesting mechanics of the legal loopholes that can so easily free a murderer or likewise convict an innocent man. At one point during these fascinating set pieces I proceeded to remove my glasses and hurl them at the television screen, so engrossed and so incensed by a certain turn of events that not even the prospect of an awkward trip to Specsavers could stop me. It was in the courtrooms and homes of the characters focused on the trial of Joe Miller that I found Broadchurch to be at its absolute best, helped not only by an already vested interest from the audience in the case but also by the addition of characters (namely Charlotte Rampling as barrister Jocelyn Knight) who turned out to be some of the most engaging of the entire series. Where the show faltered somewhat, for me, at least, was in the more focused introduction of Sandbrook, the case from season one only hinted at but known to be the reason for Hardy’s (David Tennant) ill health and constant feelings of failure after a botched job. Sharing equal screen time with Joe Miller’s trial, Hardy and Ellie Miller (Olivia Colman) reopen the case of two murdered girls and this plot point acted to satisfy the needs of viewers who wanted a dose of the traditional “whodunnit” mystery that was so effective in the first season. The trouble I found myself having with the Sandbrook subplot was the simple fact that I was not as interested in Lee Ashworth (James D’Arcy) and Claire Ripley (Eve Myles) as I was about Joe Miller and the effects this emotional trial was having on the residents of the town, therefore every minute spent with them was, in my opinion, a waste of precious time that should have been used to give the audience more of the tense, gripping trial. As for the grand finale of both Miller’s trial and the Sandbrook investigation, I must admit to a certain sense of disappointment. This is not to say that the series did not come to a justified and well executed conclusion, but for a viewer who wanted nothing more than for the strong hand of justice to be slapped across the face of the programme’s wrong doers, the season finale left me wanting more and knowing that with sixteen episodes already dedicated to the case, I will probably never get it. Also, I can’t help but think that viewing something once weekly, with time in-between to ponder and obsess over the minutia of each character’s actions and intentions, provides a prime breeding ground for viewer dissatisfaction. Binge watching a show does not give you ample time to forge strong expectations, whereas having the time to start to really care about these fictional events (much like with the recent podcast phenomenon of Serial), there are always going to be a percentage of fans that are disappointed by the conclusion, it just so happens that I am in this category with regards to Broadchurch. One aspect of the show that leaves absolutely no room for disappointment is the performances level of every single cast member, new and old. David Tennant and Olivia Colman continue to be my new favourite television double act of recent times, with Hardy and Ellie’s relationship being one of unusual and endearing codependence, bringing both the best and the worst out of each other on a regular basis. Sterling performances are given once again by every member of the Latimer family as their characters are pushed to the very limits of humanity both inside of the trail and outside at home. Both James D’Arcy and Eve Myles give sizzling and particularly performances sexual performances as Lee Ashworth and Claire Ripley, any problems with the Sandbrook subplot are not their fault but more a general annoyance at the time taken away from the Danny Latimer trial. The real revelation this season though, in my opinion, was the introduction of Charlotte Rampling and Marianne Jean-Baptiste as barristers Jocelyn Knight and Sharon Bishop respectively. Both women were responsible for creating two incredibly strong female characters on a prime time show, and with plenty of juicy back story to be explored my main hope for season three is that these two remain part of the cast. 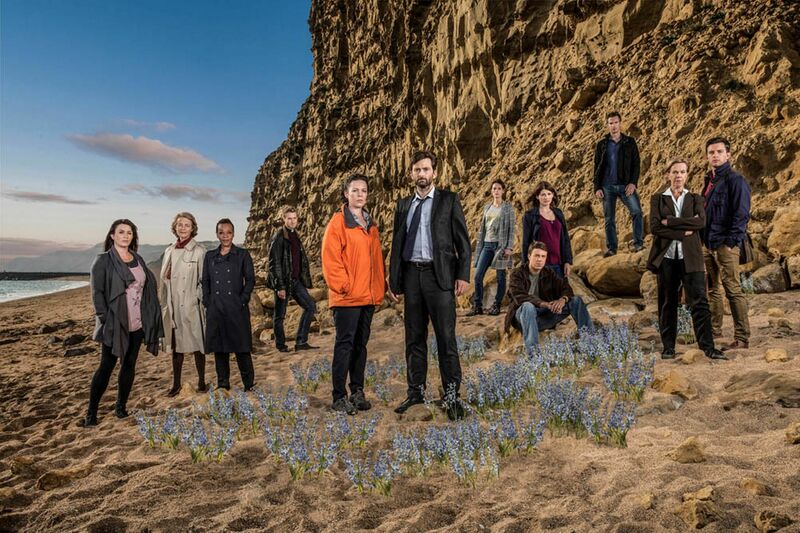 Overall, the second season of Broadchurch, whilst being slightly less focused and more murky than the excellent first, is still better television than 90% of what has been on offer of late. Though on a personal level I must attest to feelings of dissatisfaction with the season finale, I find that as a person who prefers the cinematic confines of a motion picture I do always tend to be less happy than most after dedicating upwards of eight hours to a single story. The ensemble cast is undoubtedly one of the very best in recent years, and no matter my feelings on the very last episode, the series was a tense, emotional and mostly rewarding ride that leaves you grabbing your nearest device to frantically search for details on the start date of season three. I’ll be there! Looking forward to this. Great review. I think I have it in my Amazon Prime queue. I also just watched Tennant in The Escape Artist and really enjoyed him in that. Thanks for the head’s up!